MSt alumnus Pat Toland and student Madiha Bataineh were longlisted for the Poetry Society’s National Poetry Prize, 2015. 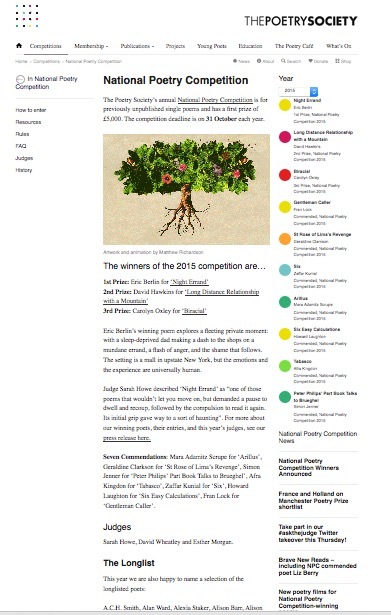 More about the prize, the winners and the longlist. This entry was posted in Alumni News, Events by Amal Chatterjee. Bookmark the permalink.